We encourage all apprentices and supervisors to attend one of these forums to ensure they are up to date with industry best practise. To find out more information on how to register, click here. Meet South Australia’s 2018 Apprentice of the Year! 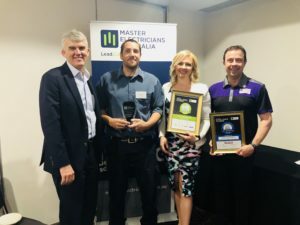 We are thrilled to announce that Darryl Kenchington, from Adtech Electrical Solutions has taken home a Master Electricians’ Excellence Award, winning the Legrand Apprentice of the Year SA. 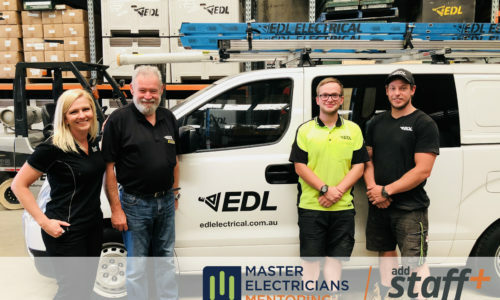 Darryl is one of one of the apprentices in our Mentoring Program and since his time with Adtech Electrical Solutions we have watched him go from strength to strength. Darryl is a deserving winner, he has faced career obstacles with determination and ambition and is now nearing the end of his apprenticeship. Our Apprenticeship Mentor, Nadia Holt comments ‘Darryl is an incredibly capable apprentice and very passionate about the industry, he will make a great electrician’. This award speaks volumes about both Darryl’s abilities and the work environment that Adtech Electrical Solutions provides for their staff. Congratulations to Darryl, Luke and the team at Adtech and the best of luck to Darryl on the last leg of his journey! There are some exciting and significant changes happening that directly affect businesses who employ trainees and/or apprentices. The Fair Work Commission has announced a 3.5% increase to minimum wages to be actioned from the first full payroll period from the 1st July 2018. Remember to review your payroll, speak with your industry association to ensure trainees and apprentices are being paid in accordance with the updated minimum wages. 2. No fees for NSW Apprenticeships! From 1 July 2018, 100,000 fee-free apprenticeships will be available in NSW. This means that eligible businesses will no longer have to pay training fees for employee apprenticeship qualifications. From 1 July 2018, the NSW Government is making new apprenticeships fee-free. For more information click here. The QLD Government has extended the payroll tax rebate for Apprentices and Trainees. This is a fantastic initiative from the state Govt, continuing to promote the employment of Apprentices and Trainees. In essence, if you employ staff that meet the grant eligibility criteria and your business is trading in one of the above locations, you may be eligible to receive $20,000 per staff member employed. One of our clients were able to secure $100,000 from this great incentive and we are pleased that this successful grant has been extended for another two years. Add Staff are highly experienced in finding staff that meet this criteria, email Melissa@addstaff.com.au to find out how your workplace can benefit. How this Electrical Contractor received $100 000 in employment assistance! Over the past 12 months Add Staff have been focusing on our passion, helping businesses grow and building a stronger industry for the future. This includes keeping our clients educated about any Government grants available to support the strategic growth of their team. Since July 2017 the QLD Government’s $20 000 Back to Work employment grant has been a hit with employers, a successful program in supporting business growth and creating employment opportunities. 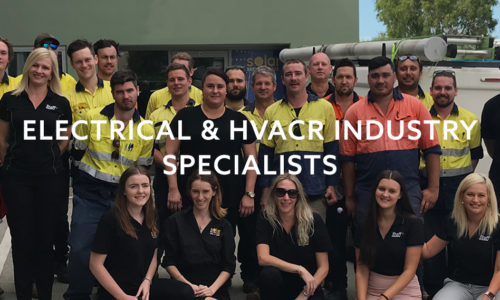 Peter Matthews, Managing Director of Solar Service Guys in Brisbane was quick to identify how this Government initiative could support the consistent growth of his team. During this period Peter has employed five new staff members into eligible full-time positions who meet this grant criteria, with the support of Add Staff Recruitment, making this a seamless process. 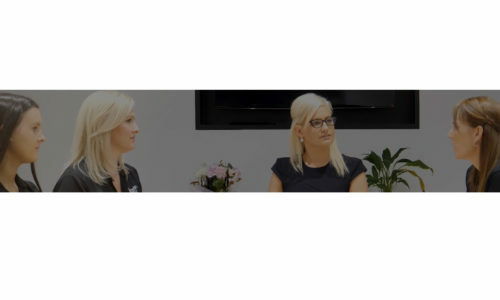 The QLD Government Back to Work grant is available to businesses of all sizes, across South East QLD and Regional Areas, provided eligibility criteria are meet. This grant is currently available until the 30th June 2018, to get the process started contact us today! The Add Staff team working hard to recruit for exciting new opportunities, including: Electrical Estimators, Engineers, Project Managers, Service/Account Managers, Design Managers and Draftspersons. Contact us for details on 1300 365 606, or PM us for a confidential chat!